Visit equifaxsecurity2017.com and find out if your information is part of the breach. Click on the tab that’s marked Potential Impact and enter in your last name and last six digits of your social security number. Taking this step will alert you to whether or not your information could be part of the hack. Next, enroll in free credit monitoring that is provided for all consumers in the United States. This service will monitor your credit for a year and alert you if there’s any changes to your credit report. Freeze your credit with all three credit-reporting agencies, Transunion, Equifax and Experian. A freeze means that no one can attempt to apply for or use your credit—you’ll be supplied with a pin number that only you have, allowing you to “thaw” your credit if you need to apply for a new credit card, loan or any other line of credit. This action seals your credit report, but doesn’t affect your use of any lines of credit that you currently have. Check your credit often and consider signing up for CreditKarma, it’s a free service that allows you to check your credit report as often as you wish, and will provide alerts when something changes as well as provide you details on things that are impacting your score. 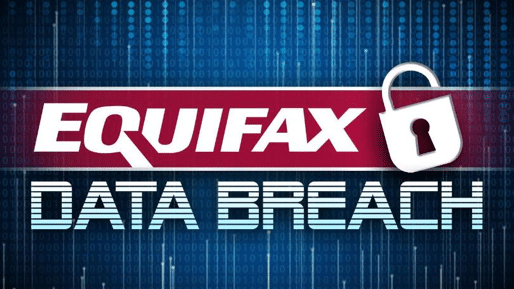 Be aware of phishing schemes and fraudulent messages—because the Equifax breach was so wide-scaled, it’s possible that other unscrupulous people will try to get in on the action. This means that even if your information wasn’t exposed, you may receive emails, texts or phone calls enticing you to give out personal information like account numbers, log in information, etc. under the guise that this person or company wants to help you determine if you’ve been affected by the breach. And while everyone knows the dangers of giving out this type of information, these crooks are tapping into the fear that everyone is feeling in relation to the Equifax situation. Although there’s no way to undo what happened, being aware and staying on top of your credit information is one way to ensure that the crooks involved won’t be able to use your information today or in the future. And remember, to ensure that your confidential information remains private, shred outdated documents that you no longer need after making digital records or storing the information securely. Talk to us about our onsite shredding services—we come to you, either at your home or office, giving you the ability to witness the permanent destruction of your documents. We also provide a certificate of destruction for further peace of mind. Call us today at 772.283.4152 or fill out our online quote request form.